Herbal stress relief can come in the form of high quality Adaptogenic herbal supplements that help your Adrenal glands handle stress better. Adaptogenic herbs refer to certain natural remedies that have been used for hundreds and even thousands of years to help regulate Stress hormones like Cortisol, Adrenaline, Aldosterone, and therefore protect your body from the harmful effects of acute or chronic stress reactions. By using natural remedies for stress relief, you can actually help strengthen your Adrenal's ability to handle stress, rather than simply covering up the feelings of stress with alcohol, nicotine, coffee, or other adrenal stimulants or depressants that can cause severe health consequences if used in excess. Many prescription anti-anxiety medications like Xanax and Prozac can have equally damaging effects on the neurotransmitters in the brain like Serotonin, Melatonin, GABA and Dopamine. Simple herbal stress relief can come in the form of aromatherapy essential oil herbs like Lavender, Chamomile, Peppermint, Rose, Sandalwood, Aloeswood, Bergamot, Clary Sage, Lemon Balm, and Chrysanthemum flowers. Ingredients: Tibetan Rhodiola root, Ginseng root , Goji berry Eucommia bark, Reishi fruiting body, Eleuthero root, Astragalus root, Gynostemma leaf, He Shou Wu (Polygonum multiflorum) root, Prepared Rehmannia root, Schizandra fruit, Chinese Licorice root, Polygonatum rhizome, Bai-zhu Atractylodes rhizome, Red Jujube fruit. Polyrhachis Ant, Tibetan Rhodiola root, Gynostemma leaf, Eleuthero root, Schizandra fruit, Astragalus root, Duanwood Reishi fruiting body, Chinese Ginseng root, Goji berry, Chinese Licorice root. 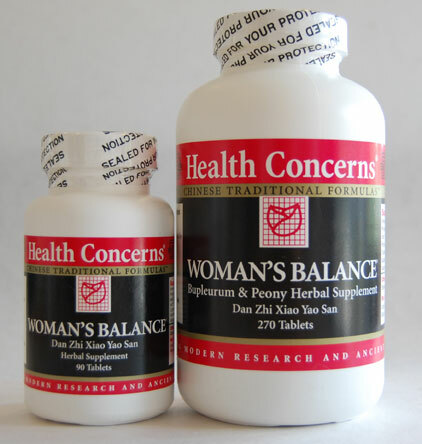 Both of these herbal formulas contain very powerful anti-stress herbs that can help to regulate Cortisol production, increase physical stamina, mental clarity and focus. Adaptogen Energizer is a bit more energizing, hence the name, since it contains one of the most powerful natural substance for producing physical energy and stamina - Polyrachis Ants from Tibet. The extract from these ants are very high in Zinc, amino acids, and other hormone building natural chemicals and constituents. 50% of this formulation is composed of Ant. Ant tonics are widely consumed in Asia to promote strength and sexual vigor. Research has shown that ants are highly nutritious and have powerful tonic effects. Ant is considered a premium adaptogenic substance. In fact, there is a saying in China that “Ginseng is the king of herbs, while Ant is the herb of kings.” Ant is widely used to help support healthy immune system function. Polyrhachis Ant, which is the unique variety of ant used as a tonic herb, has been established to have double-direction benefits, so it can be used by anyone to maintain and regulate healthy immune system function. Ant also supports the nervous system, digestive functions, detoxification functions and muscular system. Because of its long and short-term energy boosting effects, Ant tonics are ideal for athletes, especially when combined with Ginseng, Gynostemma, Eleuthero, Cordyceps, Morinda and other similar tonics. Ant also helps to maintain a healthy Kidney system, including the sexual functions, skeletal structures and renal system. Ant has a reputation in Asia for increasing libido and virility. Ant supports a healthy liver without any side-effects. It is one of Asia's premier tonic herbs. Super Adaptogen contains more of the Tibetan Rhodiola and Siberian Ginseng which can both help to alleviate mental fatigue and adrenal stress, and improve physical stamina. 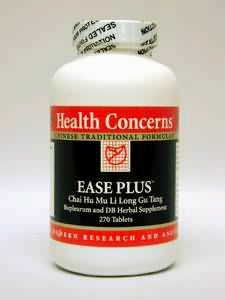 Herbal stress relief can target your Adrenal stress response, as with the Adaptogenic herbal formulas above, or you can use herbs that relax the Liver, and help to soothe your nervous system while supporting the elimination of toxic chemicals and toxic heavy metals which can be creating "Fight-or-Flight" toxic stress reactions inside your soft tissues.